NEW CAR !!! 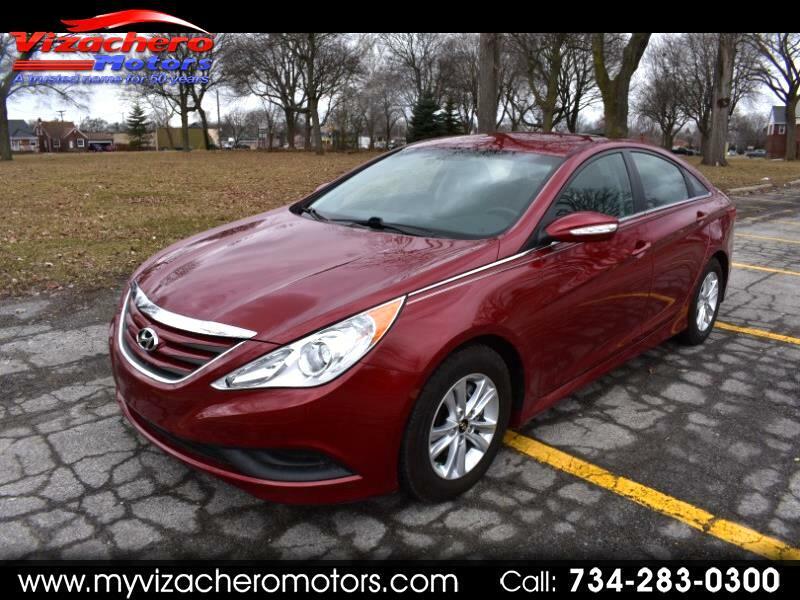 - THIS HYUNDAI SONATA LOOKS LIKE BRAND NEW INSIDE & OUT !! - 13,758 ORIGINAL MILES !!! - PERFECT CARFAX REPORT - ABSOLUTELY BEAUTIFUL CAR !! - RUNS AND DRIVES LIKE IT SHOULD....PERFECT !!! - INSIDE LOOKS NEW...NON SMOKER...NO PET ODOR !!! - OUTSIDE LOOKS NEW...BEAUTIFUL BURGUNDY EXTERIOR PAINT FINISH !!! - THE RIGHT CAR !!! - AN ABSOLUTE MUST SEE & DRIVE !!! - ONE OWNER VEHICLE !!!! - AM FM CD MP3 STEREO - POWER SEAT - POWER WINDOWS - POWER DOOR LOCKS - POWER MIRRORS - AND MORE !!! - ABSOLUTELY BEAUTIFUL CAR !!! - - PLEASE BUY WITH CONFIDENCE...OVER 58 YEARS OF AUTOMOTIVE SALES AND SERVICE ...OVER 6000 VEHICLES SOLD !!! - PLEASE STOP IN FOR A CLOSER LOOK AND A TEST DRIVE ...HOPE TO SEE YOU SOON!!! - THIS VEHICLE JUST IN...PHOTOS SOON!! !